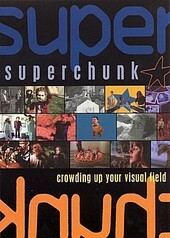 Are you a Superchunk fan? A fan of the band's smart, catchy brand on indie-rock? Well, if so, Crowding Up Your Visual Field is a DVD sure to captivate and entertain. Including videos for sixteen songs, as well as an hour long documentary made by the band, capturing their fall 2001 tour throughout the world, Crowding Up Your Visual Field is surely a treat. But, not to settle for just that, the DVD also includes a band history, a video interview, band and director commentary, four live songs from the band's first-ever performance, and several other live performances. Crowding Up Your Visual Field is both a testament to the band's importance and a document of their history. It's a great item to have for anyone that has ever been curious or interested in this band. I'll give it an A-.